You are at:Home»Dreams»What Does it Mean When You Dream about Death? What Does it Mean When You Dream about Death? Dreaming about death can be an upsetting experience, especially if these dreams occur frequently. Luckily, dreams about death often have very little to do with death in the real world. This will hopefully be a comfort to some, but still, just what does it mean when you dream about death? Death can represent all sorts of things. Decrypting what your dream means will take a careful analysis, aided by a dream journal wherein you note down each of the dreams, what happened in them, who it was that died, how they died, and your emotions during the dream. Creating a dream journal is also a good way of calming yourself down after waking up. 1 What Does It Mean When You Dream About Death? In the circle of life, the death of one being is the beginning or continuation of others. A forest dies in a fire, but new life springs up from the enriched soil of the old kingdom eventually. In your dreams, death can symbolize the end of one thing and the start of another. Jobs, relationships, projects, and journeys can all cause these dreams about death to happen. Look at the context of your dream and think, ‘Was I afraid?’ If not, you are probably looking forward to the changes ahead. If you were, then some anxiety about moving forward is leaking into your dreams. Overcoming an obstacle is, in a way, the death of that obstacle. It should come as no surprise that dreams about death can relate to the obstacles you have or are trying to overcome. Look at who it was that died in the dream, and how they, or a version of yourself, relate to what you are overcoming. Death is an end. Is something (a job, a relationship, a home) coming to an end? An end is not always a bad thing. As Gandalf says, ‘Not all endings are sad,’ and perhaps this end is the start of something new and exciting? How did you feel during this dream? Terrified? Numb? Excited? Happy? Joyous? Whatever ending that approaches is filling your dreams, and analyzing said dreams can help you discover your true feelings about the future. If your dreams about death involve you dying, it could be in relation to self-sacrificial habits you’ve fallen into, or compromises you’ve had to make that aren’t compromises at all – and definitely aren’t working in your favor. The death of yourself in dreams could also mean that these sacrifices of yours are going unseen or unrecognized. These dreams could also be an internal warning system telling you that you have taken up dangerous or unhealthy habits. As scary as these dreams are, they can be a wake-up call. Now, if the figures dying are those of your parents or grandparents, this is typically your mind fixating on the fact that we are not immortal, and that one day these constant presences in your life will be gone. Goodbyes are never easy, and it is natural to feel this way; enjoy the time you have together. Overcoming obstacles and new beginnings result in growth. Life cannot exist without death, and thus dreams about growth – internal and external – often occur as dreams about death. Seeing a past version of yourself, or yourself as a child, dying in a dream indicates that you are maturing, growing as a person and that you can recognize these changes within yourself. Seeing a younger version of yourself die in a dream can also indicate a loss of innocence or naivety in relation to a traumatic or unpleasant event. Dreams about committing murder can be uniquely unpleasant and can leave people with a lingering guilt upon waking. Oddly enough, it is guilty feelings or poor decisions coming back to haunt you that cause these sorts of dreams to develop. Who was it that died in the dream? Did you lie to them, hurt them, or make a poor decision involving them? Perhaps you need to confront this moment and take a closer look at yourself. Dreaming of the dead is probably something everyone has experienced. Everybody loses somebody, and mourning their death is a natural and normal thing to do. However, if you are continuously dreaming of the departed, it is an internal signal that it is time to move on – and seek therapeutic help if necessary. Additionally, dreaming about dead people that are strangers could be a warning that people with the wrong intentions are influencing your life. It is time to closely examine your relationships and look at how people are treating you for any red flags. Dreaming of death may be an unsettling experience. However, it is important to look closely at your dreams for the truth. Do you have dreams about death? Dreams About Being Pregnant: What do They Mean? Welcome to our Dreams portal. Why do you have a recurring dream? What does it mean? How can you learn to control what you dream about? 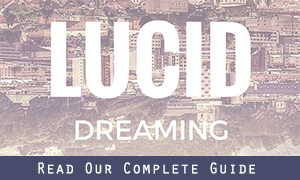 Browse our dream features and meanings below. Dreams About Spiders: What do They Mean? Dreams About Snakes: What Do They Mean?